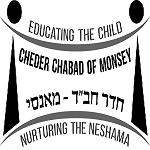 Cheder Chabad enjoys a dedication to and reputation for academic excellence, presenting a challenging curriculum at all levels. A commitment to distinction, a passionate faculty, motivated students, and involved parents make Cheder Chabad an environment that fosters excellence. Our teachers do not strive to simply educate; personal relationships develop naturally as faculty members devote themselves to a student-centered education. As committed as the teachers are to challenging the students, they are more committed to helping and encouraging their students to achieve their personal bests. Students of all ages are engaged in learning. Students leave Cheder Chabad with a sense of confidence, a passion for learning, and a devotion to excellence that they carry with them always. To ensure the success of our Talmidim and Talmidos in cheder, please read the parent handbook. It is imperative that all parents follows through with the standards and guidelines written for our students.